look, i’m aware that i’m having a very emotional reaction to all of this. but you know? i won’t apologize for that. 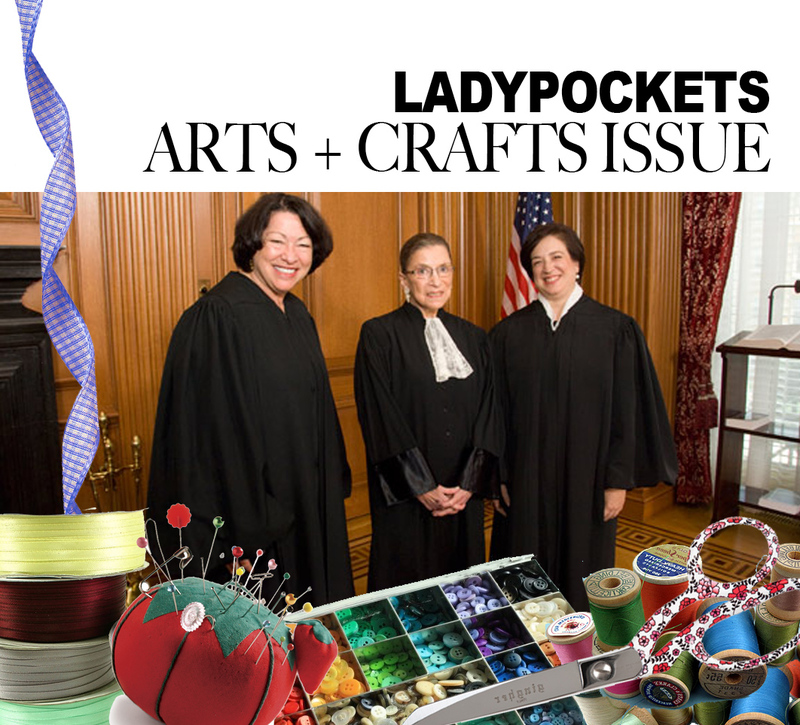 My enthusiasm for ladypockets is boundless. It’s great to have my indignation stirred and soothed in one hilarious step. That a woman 20 years younger than me is writing this gives me hope for my daughters. Thank you. Many of us older gals marched in the 60’s for civil and women’s reproductive rights…not sure the younger generations really gets the implications of this ruling. This is a sad day that has implications for all. I have never shopped and never will at hobby lobby…all that is needed for the triumph of evil is for good people to do nothing. This is just brilliant. Bravo. I am talking late 60’s – I lived through college friends having illegal abortions, experimenting with coat hangers, mixing all kinds of stuff to abort and one girl I knew threw herself down the dorm stairs thinking she would miscarry..”unwed pregnancy” was a huge issue and i later worked with young women who were disowned by their families or told to “give up the baby”. I have worked with young women who weren’t sure who the father was or drank and used drugs because they didn’t know they were pregnant for several months. Even when a child is much wanted it changes everything and you have to be ready if you are going to raise a happy healthy child. I divorced when I had a newborn and 3 year old. Every decision I ever made from that point on had to be made with my children as a priority – it needs to be a choice to have a child – we all have our own experiences and our intellectual and emotional response is based on that. 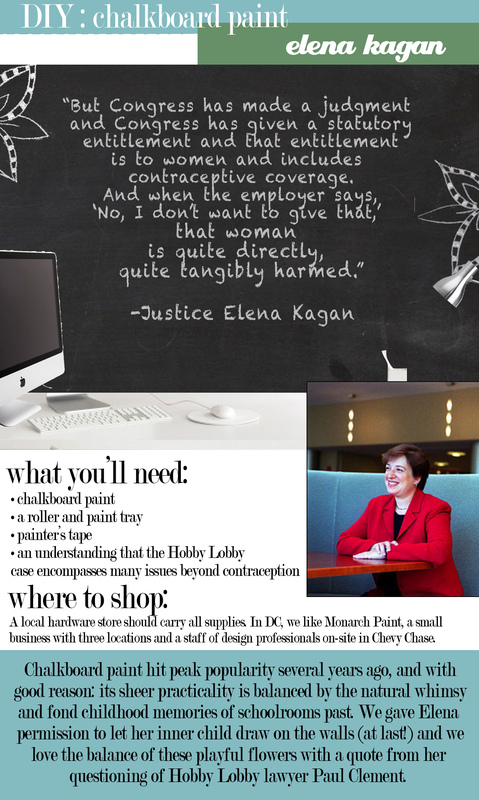 Sexual freedom isn’t so free when an unwanted pregnancy is the result. All children deserve to be loved and cherished and timing is everything. When you go to a craft store, avoid Hobby Lobby! Thank you, Katherine. Keep ’em coming, please! Thank you. My dismay has been tempered by your wry whimsy. Your stellar graphic design is so spot-on that it appears effortless. My apologies for having nothing more than this boring script in which to reply to your shiny, bright sarcasm! I want to compliment you on your lovely presentation of this horrendous material! It does much to dampen the horror and outrage that I feel. Especially when rendered in chalkboard paint! That item which schoolmarms, for generations, have used to instruct young children. 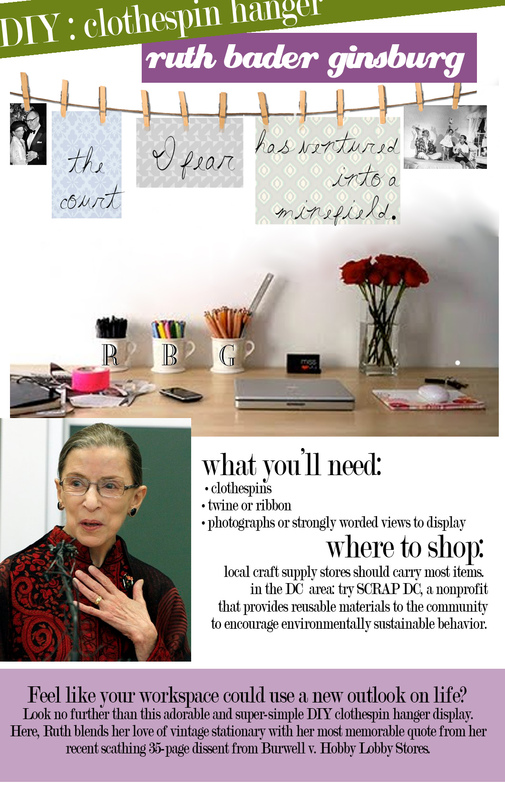 I especially enjoyed the monogrammed coffee mugs–I’m sure Justice Ginsburg would appreciate them too! Brilliant! What better way to gain respite from the horrifying decisions that the SCOTUS is handing down then to turn to an afternoon of crafting with the great female minds of our time! 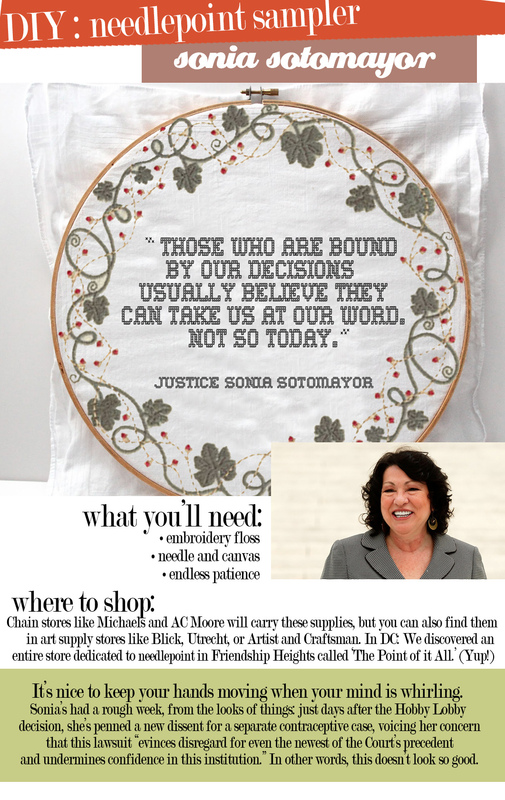 If Hobby Lobby could just stick to voicing their opinions about which embroidery floss we should be using, we might be able to make some of those other pesky decisions ourselves! Brava for a very clever concept! Keep ’em coming – please!